Some excellent stock for sale here! I have a good market for my meats, so just use this area to sell stock that should be breeders. 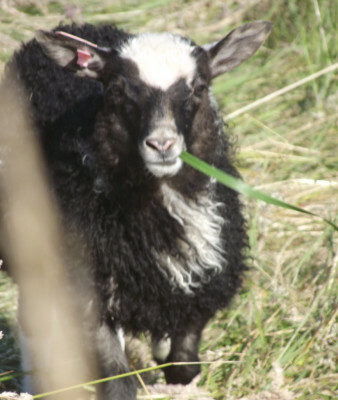 Icelandic sheep - the lamb fleeces are a hand-spinner's dream, the meat is justifiably famous for its delicate flavor, the milk is excellent for making cheese. Angus / Limousin / Scottish Highland cross cattle - a funny mix, but excellent moms that thrive on Coquille River Valley pastures and make tender, tasty meat. We had a phenomenal 2016 lambing season! So many beautiful lambs available for sale. Pick a color, pick a pattern, decide whether you want horns or want polled. Excellent, friendly and gentle sires, beautiful, milky moms. Tons of twins, quite a few triplets! Click on the picture to see more lambs. I don't breed my first-winter girls, so these ladies (and gents!) have had an extra year to grow. They are ready to be productive members of your flock. The same excellent and well-tempered sires as this year's lambs, the same excellent moms. Click on the picture to see more yearlings. My beeves are crosses between Black Angus, Limousin, and Scottish Highland. They do very well on the pastures and hay of the Coquille River Valley. My customers are deeply pleased with the flavor and health benefits of the meats. This girl's not for sale, but I have a few polled cow / calf pairs available. All have delivered their calves without assistance and are great mommas. Pictures to come.